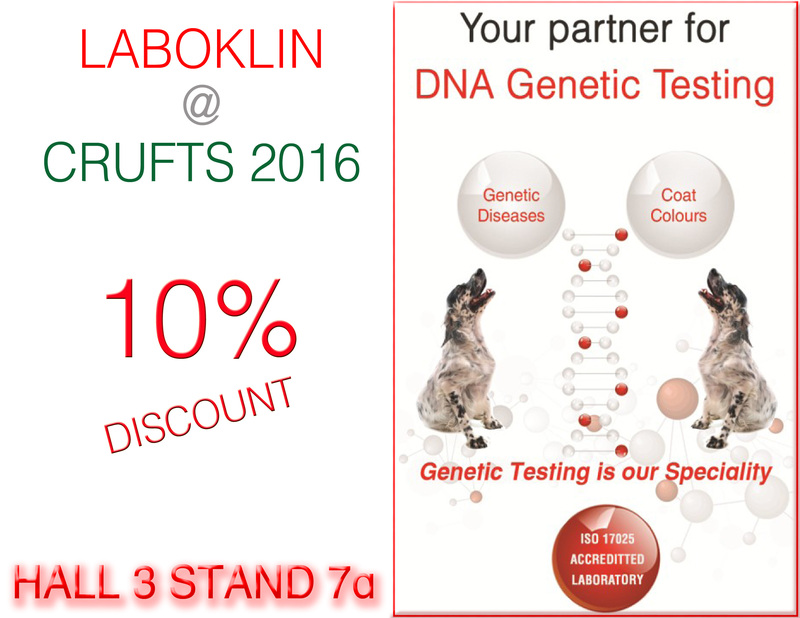 We are pleased to announce that LABOKLIN will be at Crufts from 10th to 13th March 2016 and we look forward to seeing you there. 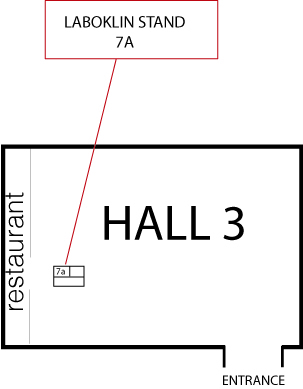 Our stand is located in Hall 3 opposite the restaurant, it is stand number 3-7a. 10% discount on all DNA tests submitted at Crufts ! Progressive retinal atrophy (PRA) refers to a group of genetic disease that occur in a number of dog breeds. The disease is characterised by vision impairment caused by degeneration of the retina in both eyes leading to blindness. The mutation responsible for this disease has already been identified in a number of breeds and DNA tests have been developed to enable breeders to avoid breeding affected dogs. PRA in shelties is clinically similar to PRA in other breeds but the mutation leading to the disease in shelties was not identified. In a recent study scientists found that in shelties there is more than one PRA variant. Scientists have been able to identify one of the mutations that causes PRA in this breed and a DNA test is now available from Laboklin. In Shelties, the disease shows a varying age on onset. In a study on affected shelties, PRA was diagnosed between the age of 2 and 11. We are pleased to announce the Exercise Induced Collapse DNA test has now been validated in Clumber Spaniel. We would like to thank the Clumber Spaniel Club and the Working Clumber Spaniel Society, and all Clumber Spaniel owners who submitted samples that helped in our research to validate the test in this breed. Exercise Induced Collapse (EIC) is an inherited condition that affects a number of dog breeds including Chesapeake Bay Retriever, German Wirehaired Pointer, Labrador Retriever, Old English Sheepdog (Bobtail), Pembroke Welsh Corgi, Cocker Spaniel, Curly Coated Retriever, Boykin Spaniel and Bouvier des Flanders. EIC has now been validated in Clumber Spaniel. Affected dogs can endure mild to moderate exercise but after 5 to 20 minutes of heavy exercise with extreme excitement, the dog shows weakness and then collapse. Severely affected dogs may collapse whenever they are exercised to this extend – other dogs only exhibit collapse episodes sporadically. Signs of EIC are not typically seen until the dog begin intense training. First symptoms are usually noted between 5 months and 3 years of age. However, it is confirmed that some affected dogs did not have collapse episodes until as late as age 10. The test is now available for ordering. Laboklin prices have not changed for the past five years, during this time, in order to cope with the ever increasing demand for our DNA testing services, we have been investing heavily in cutting edge technologies, state of the art equipment, new robotic systems and automated sample handing equipment, all operated by our highly qualified scientists. These developments did not only increase efficiency to highest attainable standards but also has now enabled us to pass on additional savings to you. For an ISO 17025 Accredited laboratory, our prices are now exceptionally competitive. New pricing System is effective from 1st September 2015. Until then all samples received are charged at existing prices. We are pleased to announce that LABOKLIN will be at the UK National Dwarf German Shepherd Rally, The aim of the UK National Dwarf German Shepherd Rally is to raise awareness about Pituitary Dwarfism, an inherited condition suffered by German Shephered. The Kennel Club has just approved a new DNA testing scheme for Factor VII Deficiency in Beagle with Laboklin. The Kennel Club has just approved a new DNA testing scheme for Cobalamin Malabsorption (Imerslund-Gräsbeck syndrome (IGS)) in Beagle with Laboklin. Although the disease is rare in general, within an affected line it is important to control the gene frequency so as to prevent producing puppies affected with the disease. The mutations causing CD in these two breeds occur in the same gene (CNGB3) but are distinct mutations and arose separately. CD disease causes day blindness due to degeneration of the retinal “cones” – cone-shaped cells in the retina that respond primarily to bright daylight. CD can be diagnosed in the early weeks of the affected dog’s life. Between 8 and 12 weeks of age, when retinal development is normally completed in dogs, signs..
Fanconi Syndrome is a genetic disease of the kidney. In affected dogs, the Kidney's proximal tubules fail to reabsorb vitamins, minerals, sugars and other nutrients back into the body, instead they are dumped into the urine. The loss of these nutrients results in dehydration and electrolyte imbalances along with other problem. Hereditary Ataxia (HA) in Old English Sheepdog (Bobtail) and Gordon Setter . Hereditary Ataxia (HA) is a neurodegenerative disease that affect the cerebellum causing progressive gait disturbance in both humans and dogs. The type 1 neuropathy (LPN1) in Leonberger starts at the age of 2-4 year and shows a severe progression. The symptoms of this polyneuropathy include wobbly gait and paralysis especially from the backhand. Affected dogs are not able to stand up in the final stage of the disease. Breathing noises, strange barking voice and difficulties in swallowing are other typical symptoms. The causative mutation causes around 20% of all polyneuropathy cases in the Leonberger breed. Other aetiologic mutations exist. 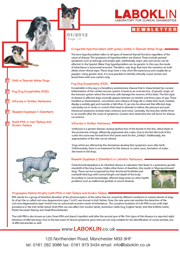 rcd3 PRA is usually found in Cardigan Welsh Corgi, it has now been identified in Chinese Crested. 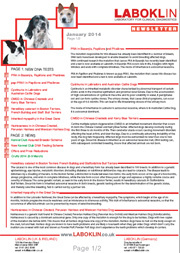 Chinese Crested can now be tested for two forms of PRA, the prcd PRA and rcd3 PRA, in addition to Primary Lens Luxation (PLL). The rcd3 PRA mutation was found in Chinese Crested only recently and therefore we have no information about its prevalence in the breed. We are pleased to announce that, after we stopped offering this test for the past few weeks, it is now back on the list and CHEAPER than before, it is now £55.00. 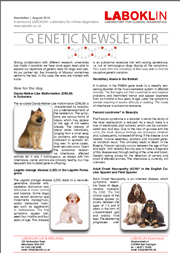 Ichthyosis is part of the Kennel Club DNA Official testing Scheme in Golden Retriever. The Kennel Club has just approved a new DNA testing scheme for Digital Hyperkeratosis (DH) (Hereditary Footpad Hyperkeratosis (HFH) / Corny Feet) in Irish Terrier with Laboklin. We are pleased to inform you that LABOKLIN will be at Crufts from 5th to 8th March 2015 and we look forward to seeing you there. We are pleased to announce that LABOKLIN acquired the exclusive European license to perform the Degenerative Myelopathy Exon 2 DNA test. DM is a slowly progressive disease of the spinal cord. It is typically seen in older dogs after the age of 7. The disease begins with difficulty in getting up, difficulty in walking and loss of coordination in the hind limbs. It usually starts with weakness in one leg and the dog maybe seen dragging its hind paws, the disease progresses to the other leg, the dog wobbles when walking and can knuckle over. The disease continues to progress leading to complete paralysis. DM is a devastating incurable genetic disease that has been seen frequently in a number of dog breeds in particular German Shepherd Dogs, Corgis, Boxers, Chesapeake Bay Retrievers, Rhodesian Ridgebacks, and Standard Poodles. It has also been diagnosed in American Eskimo, Golden Retriever , Labrador Retriever , Nova Scotia Duck Tolling Retriever , Shetland Sheepdog (Sheltie) , Bernese Mountain Dog , Kerry Blue Terrier , Wire Fox Terrier , Pug , Borzoi (Russian Wolfhound) , Hovawart , Soft Coated Wheaten Terrier , Canaan Dog , Great Pyrenees, and other breeds. A key feature of DM is that it is not a painful disease. DM is caused by a DNA mutation in exon 2 of a gene called superoxide dismutase 1 (SOD1). It is referred to as DM EXON 2. This risk factor of having this gene was identified in 2009. Recently another DM mutation was identified in Bernese Mountain Dogs in exon 1 of the SOD1 gene it is referred to as DM EXON 1. 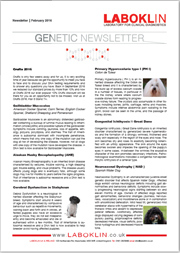 Testing for DM EXON 2 is available for all dog breeds (including Bernese Mountain Dog). Testing for DM EXON 1 is only available for Bernese Mountain Dogs, we also offer DM EXON 1 + DM EXON 2 bundle in Bernese Mountain Dogs. Laboklin is the only lab licensed to perform the DM EXON 2 test in Europe and samples should only be sent to our lab. LABOKLIN is not just about providing a test result, our genetic testing department is supported and backed by in-house specialised departments including Molecular Biology, Haematology, Serology, Pathology, Allergy, Histology, Endocrinology, Microbiology, Bacteriology and many more areas in the diagnostic spectrum since 1989. Cobalamin malabsorption (merslunf-Gräsbeck Syndrome (IGS)) refers to a genetic disorder by which the vitamin B12, also known as cobalamin, fails to be absorbed from the intestine. Lack of cobalamin leads to changes in the hematopoietic system and to neurological symptoms due to irreversible damage of the brain and nervous system. Symptoms include anorexia, lethargy and failute to gain weight. Cobalamin malabsorption can be managed by supplementation with regular doses of cobalamin..
MDR1 is a genetic disorder found in many dog breeds. Affected dogs, when treated with certain common drugs such as Ivermectin and loperamide (Imodium), are unable to pump out these drugs from the brain resulting in poisoning and neurologic symptoms ranging from tremors, anorexia and excess salivation to blindness, coma and even death. Some of these drugs such as Ivermectins, which vets prescribe extensively for the treatment of parasite infections, are able to cause toxicity at 1/200th of the dose required to cause toxicity in healthy dogs..
Also known as Hereditary Polyneuropathy of Alaskan Malamute (HPAM), and Idiopathic Polyneuropathy of Alaskan Malamute (IPAM). Polyneuropathy causes undersupply of the peripheric nervous system followed by nerve degeneration. Due to the lack of nervous stimulation the muscles degrade gradually. The causal mutation in Alaskan Malamute differs from the known mutation in Greyhound breed. The Mutation in Alaskan Malamute has been investigated by Prof. Dr. Merete Fredholm together with an international team of researchers. The onset of clinical symptoms occurs during the first two years of a dog's life. These symptoms include progressive amyosthenia, exercise intolerance, loss of reflexes and ataxia of all limbs. So, the dog may fall down, walk on the tops of its feet or the gait may just look a little off. When palsy affects the larynx, changes in voice and problems in swallowing and regurgitating have also been described. The general condition is not influenced by the disease. It was lovely meeting club members on Saturday in Catthorpe Manor to talk about coat colours in Brittany, in particular the sable coat colour. At the request of the Nova Scotia Duck Tolling Retriever breed club, the KENNEL CLUB has approved an new official DNA testing scheme for Degenerative Myelopathy in Nova Scotia Duck Tolling Retriever. At the request of the Golden Retriever breed council, the KENNEL CLUB has approved an new official DNA testing scheme for Ichthyosis in Golden Retriever. Please note that this offer cannot be used in conjunction with other offers such as Crufts, ABS scheme, etc. We can now offer this test in French Bulldog in addition to Boston Terrier and Staffordshire Bull Terrier. Breeds : Chinese Crested , Dachshund , German Wirehaired Pointer , Portuguese Waterdog , Various dog breeds , Havanese , Lagotto Romagnolo , Soft Coated Wheaten Terrier , Brussels Griffon , Havana Silk Dog . Breeds : Border collie , Chesapeake Bay Retriever , Chihuahua , Dachshund , Kuvasz , Portuguese Waterdog , Various dog breeds , Kerry Blue Terrier , Boykin Spaniel , Havanese , Soft Coated Wheaten Terrier , Havana Silk Dog , Bishon Frise , Leonberger , Maltese . Breeds : American Cocker Spaniel , English Cocker Spaniel . Breed : Labrador Retriever . Breed : Lagotto Romagnolo . CMSD (Canine Multiple System Degeneration) in Chinese Crested , Kerry Blue Terrier . Hereditary Cataract * in Boston Terrier and Staffordshire Bull Terrier . Spinocerebellar ataxia (SCA) * in Jack Russell Terrier and Parson Russell Terrier (PRT) . pap-PRA1 (Progressive Retinal Atrophy) in Papillon and Phalènes . Hereditary Myopathy / Centronuclear Myopathy (HMLR, CNM) in Great Dane. Laboklin have been working in cooperation with the Kennel Club for over five years. Many ofLaboklin DNA tests are part of the Kennel CLub Official DNA testing schemes. In continuing our support for breeding healthy dogs, Laboklin is pleased to announce that members of the Kennel Club Assured Breeder Scheme (ABS) are now eligible for 10% discounton all genetic tests offered by Laboklin. Please note that this offer cannot be used in conjunction with other offers example at Crufts, special combination discounts, etc. What a great place to share the latest news with our customers, we will post information about new tests, schemes, events, discounts and will be able to answer many of your queries. LABOKLIN will be at the Manchester Pet Show on 7th & 8th September 2013. 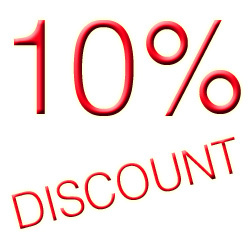 10% Discount on all genetic tests submitted at the show (Except partner lab tests such as Optigen). Our stand number is 134 opposite the Kennel Club stand. LABOKLIN is now official Optigen partner. For customers who would like send samples to Optigen in USA, you can now send your samples to our Manchester address and we will do everything else ... and where a Kennel Club DNA Testing Scheme is in place, results will also be recorded by the KC. Protein Losing Nephropathy (PLN) is an inherited disease that affect Soft-Coated Wheaten Terriers and results in essential proteins being lost through the kidney. The disease can be mild and stable for years, however, it may lead to severe complications including kidney failure. Progression of the symptoms is variable and often influenced by environmental factors. Primary Ciliary Dyskinesia (PCD) is an autosomal-recessive genetic disease characterized by recurrent infections of the respiratory tract as well as reduced male fertility. Around 50% of the affected dogs develop situs inversus (Kartagener syndrome). Polycystic Kidney Disease is a genetic slow progressing and irreversible disease characterised by the presence of cysts in the functional areas of the kidneys, The size of the cysts varies from 0.5 mm to 2.5 mm. Cysts grow and expand replacing the normal kidney tissue, as a result, the functionality of the kidneys declines, the disease is likely to end with chronic renal failure in middle to old aged dogs. The disease affects both kidneys. Late onset ataxia (LOA) in the Parson Russell Terrier is a genetic disease characterised by progressive gait incoordination and loss of balance. Early symptoms are usually seen at the age of 6-12 month, the disease progresses, gait becomes increasingly incoordinated with difficulty in moving around or complete loss of mobility. Pompe's disease or GSDII (Glycogen Storage Disease Type II) is caused by deficiency of the acid alpha-glucosidase enzyme which leads to accumulation of glycogen in the cells, and this results in abnormal glucose levels in tissues such as cardiac, skeletal, and smooth muscle. Cobalamin malabsorption (merslunf-Gräsbeck Syndrome (IGS)) refers to a genetic disorder by which the vitamin B12, also known as cobalamin, fails to be absorbed from the intestine. GM1-Gangliosidosis is a lysosomal storage disease that leads to neurological disorders. Affected dogs suffer from paralysis of the extremities and spasticity of the muscles. Muscular Dystrophy (MD) was only valid for Golden Retriever but now Cavalier King Charles Spaniel has been added to the affected breed list. Muscular Dystrophy (MD) is a spontaneous, X-linked, progressively fatal disease of dogs and is also a homologue of Duchenne muscular dystrophy (DMD). Affected dogs show raised creatine kinase levels, muscle atrophy with contractures, hyaline myofiber degeneration with mineralization, endomysial and perimysial fibrosis with fatty infiltration, and cardiomyopathy. 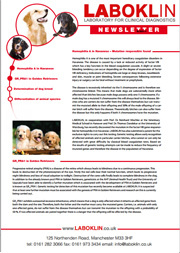 Neuronal Ceroid Lipofuscinosis (NCL) was offered for Australian Shepherd , Border collie , Dachshund , Miniature Long Haired Dachshund , Miniature Smooth Haired Dachshund , American Bulldog , English Setter and Tibet Terrier breeds, now American Staffordshire Terrier has been added to the list. Hereditary Nasal Parakeratosis a genetic disorder that causes the dog's nose to dry, especially, the upper surface of the planum forms keratinous scales, which adhere to the nose. Bloody fissures might occur in this structures, leading to chronic irritation and inflammation of the noses skin. Collie Eye Anomaly (CEA) / Choroidal Hypoplasia (CH) BY OPTIGEN* in Australian Shepherd , Border collie , Nova Scotia Duck tolling Retriever , Shetland Sheepdog (Sheltie), Rough Collie , and Smooth Collie. Progressive Retinal Atrophy (rcd2-PRA) BY OPTIGEN* in Rough Collie. Progressive Retinal Atrophy (prcd - PRA) BY OPTIGEN* in Australian Cattle Dog, Australian Shepherd, Chinese Crested, Finnish Lapphund, Norwegian Elkhound, Poodle (Miniature), Poodle (Toy), Portuguese Water Dog, Retriever (Chesapeake Bay), Retriever (Labrador), Retriever (Nova Scotia Duck Tolling), Spaniel (Cocker) and Spanish Water Dog.